as well as other individual biological factors. As individuals vary, so will results. Are You Still Somewhat Skeptical? Hey it's Dr. Baumgartner and first I wanted to say thank you for watching this presentation. I put a lot of time into it and I hope you received a few nuggets of wisdom. However, if you're still on the fence about grabbing the entire Blood Pressure Reversed system after watching the video, then I wanted to make you a special offer for being here today. I'm Going To Give You The Opportunity To Grab Everything For Just A One-time Investment Of Just $19. 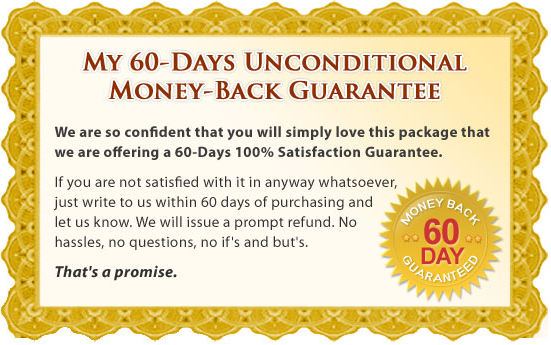 Plus, you're still backed up and protected by my 60-Day Double Your Money Back Guarantee. This Special Offer Is For Your Eyes Only. You Can Only Take Advantage Of It Right Now. So if you're ready to get started, just click the "YES! Order Now" button below and you'll be immediately taken to our secure and private checkout page.